The biggest loser in Sri Lankan politics simply has to be Chandrika Bandaranaike Kumaratunga. The daughter of two Prime Ministers and a former two-term President, she was on top of the world when she succeeded in ousting her arch rival Mahinda Rajapaksa in January 2015. And look where she and Mahinda are now. Mahinda is the head of a formation which not only has the largest number of seats in the opposition but more importantly, beat both the UNP and the SLFP to emerge the island’s largest political entity at its electoral debut under a new symbol. His formation even did better than SWRD Bandaranaike’s SLFP/MEP did in 1956, which was the second, not the first, election it faced! By contrast, not only did Chandrika fail to prevent the SLFP-UPFA from soliciting and accepting Mahinda’s leadership at the parliamentary election campaign of August 2015, she also failed to prevent the majority of SLFP MPs from staying with Mahinda and rejecting her brainchild, the so-called national Unity government in the aftermath of that parliamentary election. 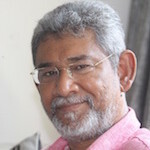 It is entirely appropriate that the television news carried an item (hitherto un-contradicted) that on the very day the SLFP rebels met President Sirisena, obtained his consent and broke away from the government, ex-President Kumaratunga was seen cruising in to Temple Trees where Prime Minister Wickremesinghe was holding a series of meetings. Whether or not the news report was accurate, the daughter is winding up, de facto, with the UNP, from which her father broke away and entered History. Worse still she is an unsuccessful prop of a UNP under a rightwing neoliberal leadership, while she was earlier a bitter opponent of the UNP under President Premadasa, a populist who was the closest to the line of SWRD’s SLFP ever to emerge within the UNP—and a man with whom Chandrika’s charismatic and progressive husband, Vijaya Kumaratunga (the Barack Obama that Sri Lanka never had), had a political dialogue and an equation! So Chandrika rejected the UNP when it was under progressive, patriotic leadership but embraced it when it came under the most rightwing, pro-imperialist leadership ever! It is as if SWRD Bandaranaike supported a coalition government with Sir John Kotelawela’s UNP, instead of overthrowing it! The SLFP Sixteen have just saved the party from the fatal electoral consequences of Chandrika’s line. She is hardly the slinky femme fatale of Hollywood movies, but she was proving to be a femme fatale for the SLFP, to be sure—so vertical was its fall in electoral performance, following, and in consequence of, her policy of alignment with Ranil’s UNP. Susil Premajayanth, SB Dissanaike, Dayasiri Jayasekara, Thilanga Sumathipala, Lakshman Yapa Abeywardena et al, must be congratulated on their backbone and their intelligence in offering to rescue their party from the fate of the Titanic. Any doubt that the ship is sinking was dispelled when the senior-most UNP parliamentarian, John Amaratunga, said on TV news (Wednesday April 11th evening) that “apata thiyenney thava avurudu ekahamaarai ney? Janathaava monavagey theenduvak deiyda kiyala kiyanna be ney?” Which in translation means: “we have only one and a half years more. After all we cannot say what the judgment of the people will be”. Coming from John Amaratunga this is tantamount to a senior doctor who is a close relative of the patient announcing that the latter has only one and a half years to live! 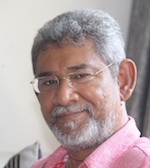 Further indications of the inevitable fate of this government came from a moderate ideologue of the SLFP, Reginald Cooray, Governor of the Northern Province, who urged that an early parliamentary election is the only way out of the mounting political crisis. That this looking like the only way out of the governmental gridlock is evidenced by the fact that the JVP’s Lal Kantha also urged an early Parliamentary election. 1. Remain united as a party and remain united with the UNP within the ‘Unity’ Government, while the UNP itself remains united under Ranil’s leadership. (The CBK line). If the UNP had dumped Ranil, this may have proved less than fatal to the SLFP, but it didn’t, so if this line were adhered to the SLFP would predictably be extinct in pretty short order. 2. Remain united as a party but quit the relationship with the Ranil-led UNP. This still remains an option but the Central Committee must meet to debate this to a finish. 3. The SLFP splits once again, with a faction remaining in Government together with Ranil’s UNP, and another hitting the ejector button and landing up in the Opposition. This is the option that has been taken, though Option 2 remains a possibility. In nature, when a tree is in danger a dying, a sapling is planted elsewhere to ensure continuity. The sapling must be planted in fertile soil. The same is true of civilizations. If they are dying, perhaps due to changes in the ecology, a survival strategy is for a group to set off, perhaps by ship, and establish a new community in a new place. Someday, humanity may have to do that on another planet. The SLFP is dying in the coalition with Ranil and his UNP. It tried to replace him in order to remain for a greater length of time with a greater margin of safety, but failed. A responsible and heroic group of dissidents have done the right thing. They should be congratulated for having done so. I sincerely wish them luck.